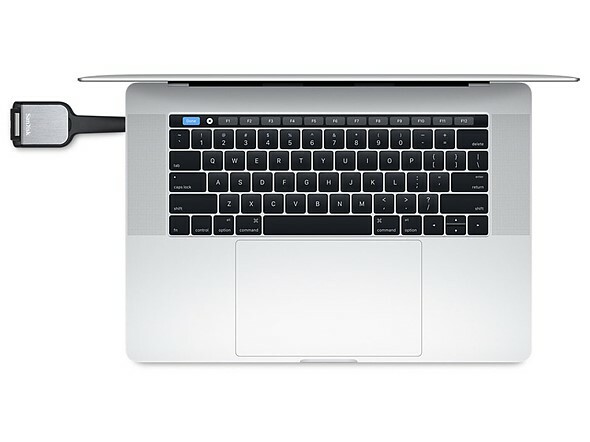 When Apple announced its new MacBook Pro last week, Mac fans were up in arms about the removal of its HDMI port, SD card reader and MagSafe power connector (among other things.) The new models have four Thunderbolt 3 ports (two on each side), and that’s it, thus requiring ‘dongles’ in order to use legacy connectors. SanDisk also produces an SD card reader (pictured) that plugs right into the side of the computer. To help placate those who aren’t excited about spending nearly $120 just to get their SD card reader and HDMI port back, the company has cut prices of many USB-C and Thunderbolt adapters for a limited time.